Maybe you’ve been reading this blog for awhile or other blogs and thinking, “I could do this. I could take photos of my life and write interesting while incorporating brands.” Or maybe only one or the other of those is true. 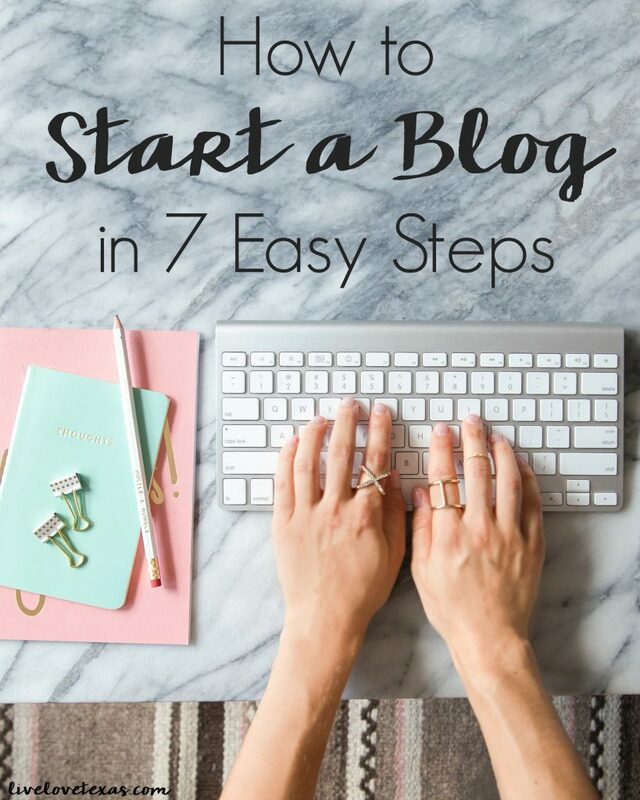 Regardless, I want to encourage you and share how to start a blog in 7 easy steps. The worst thing that can happen is you can fail. Failure for me was a big issue. I didn’t tell anyone but my husband at first. And truth be told, I probably wouldn’t have even told people if I didn’t have to explain how I had 20 circus tickets to share. I’ve had dozens of people come up to me over the years asking how to start a blog and make money. But it’s a bit of a loaded question. Everything a blogger does can be learned, but you have to have personality. Personality in your writing and the personality that is willing to let things take time and learn. To stay on top of new social media platforms, trends in the media, and invest in yourself. When someone approaches me for the first time and asks how to start a blog and make money, my advice is always the same. Just start writing. You don’t even have to publish your writing at first. Just write. Write to get in the routine and discipline yourself to write. Write because you don’t know when the paying opportunities will start. And write to hone your craft. The more you write, the better you get at it. And let me just tell you now, writing a blog post is different than writing a research paper for a college course. While your professor might appreciate your big words and professional tone, your audience won’t. Show personality in your writing. Talk like you would if you were having a face to face conversation. I don’t care if you hand write things in a notebook or set up a Google document and write a post. Just do it and as you start doing it and find that you love it or at least this is something you think you can, improve at, and provide value to an audience with then start investing in yourself and learn how to start a blog in 7 easy steps and hopefully start making money too. 1. Name your blog and buy a domain name.